We’re trying to do something a little different at Pear Deck, and it stems from our core vision for the world—people living inspired lives and engaging in the world with reason, honesty, and empathy. We talk about this vision a lot at Pear Deck. What does it mean to live an inspired life? How can we personally engage in the world with reason, honesty, and empathy? As educators and people creating products for use in the classroom, what responsibility and opportunity do we have to develop these qualities in our students? What inspires us daily is the work that you are doing. The amazing, creative, heart-stretching work of helping children grow into rational, honest, empathetic people who are prepared to engage with the world. It’s an awesome responsibility. Guiding students through their coursework would be a big job, but we know that’s just part of what you do. Caring for students’ whole selves, their emotional, physical, and psychological well-being is no small feat. We know that many of you pull money from your own pockets for school supplies, coats for your students, food to keep kids fed over the weekends and breaks. We know that in the wake of natural disasters you use your own dollars to rebuild your classrooms, your homes, and still provide a little extra for your students. According to survey findings released by the Department of Education, 94 percent of public school teachers said they paid for supplies without reimbursement and the average teacher spent $479. It’s not exaggerating to say that we’re humbled by what teachers do on a daily basis. And always, we wish we could do more to support you. We want to help, even if it’s in a small way. So today, we’re launching a new program, designed to shine a spotlight on the extra good work that educators are doing and to do our small part to make things better. Every month we’ll award $500 to an educator-led initiative. We’re working through DonorsChoose.org to administer these funds. If you have a project or there’s a need in your classroom we hope you’ll submit an application! Keep doing your good work! Our team will review the applications on a monthly basis and select a project to fund. We’re looking for projects that have a positive impact on students. *Some might ask, why not make Pear Deck free for teachers and students? We’d love to, but Pear Deck is a business. Because our team has specific talents, backgrounds, and interests, we’ve chosen to try to realize our vision by building the best possible tools for teachers and students to communicate and collaborate. To leverage classroom technology to give every student a voice and every teacher a window into their students’ progress. The money we charge to use Pear Deck supports 25 people and their families and we’re super proud of that fact. 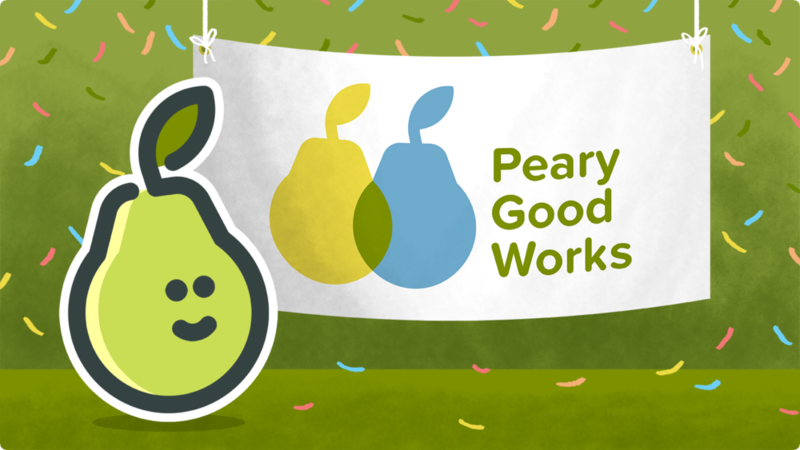 We hope that the work we produce truly benefits teachers and students and that the value you receive from using Pear Deck more than exceeds what we charge. For more information about our approach to edtech, check out this post from Chief Educator, Michal Eynon-Lynch. Using Videos, Animations, and GIFs? Get Ready to Power Up!